Here where we live, school is back in session this week. Our little princess is entering second grade this year and to be honest, she’s a little nervous. To help make the transition back to school a little more fun, I thought I’d create some fun Frozen lunches for her to have on the first days of school. 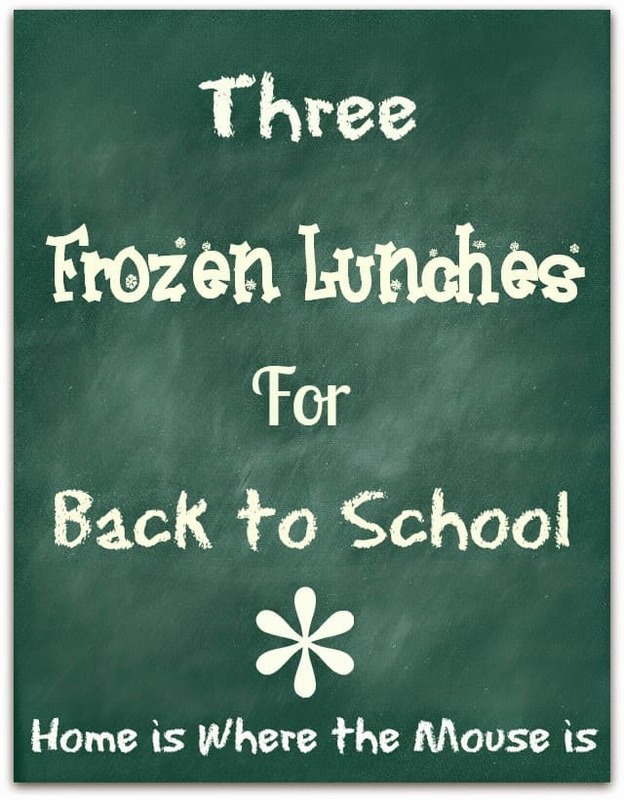 What better way to start the school year than with some mommy-made lunches based on her favorite Frozen characters. First up is an Olaf themed lunch. 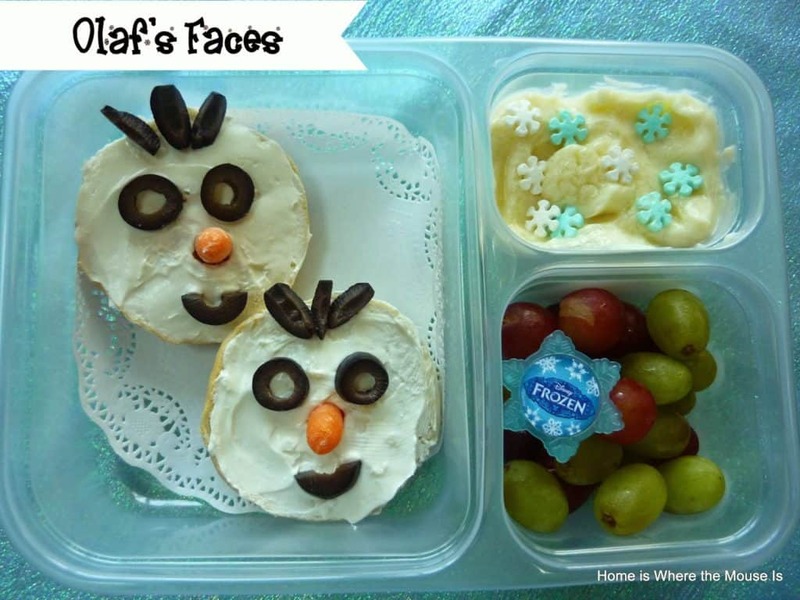 Mini bagels with cream cheese, olives and carrots create Olaf’s Faces. On the side she’ll have grapes and vanilla pudding with sugar snowflakes. Bella’s favorite character is Elsa. 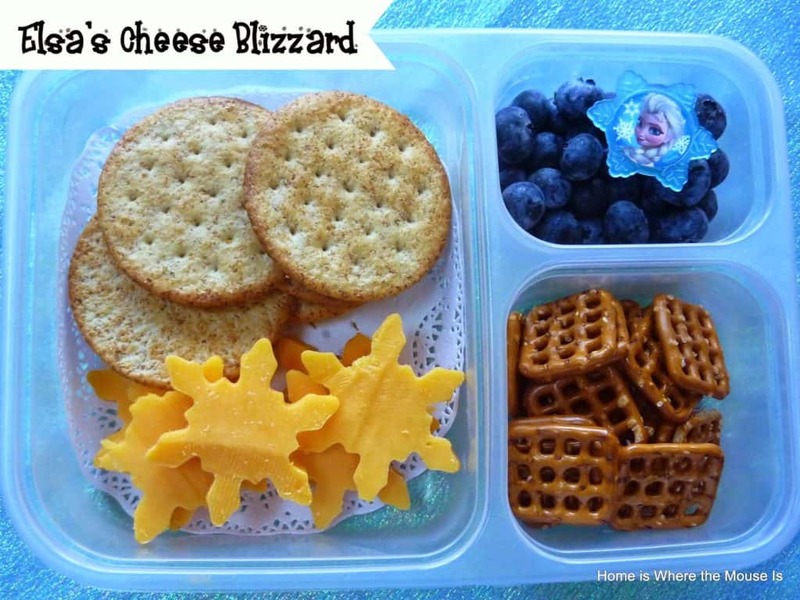 For this lunch I’ve taken one of her favorite appetizers from her Frozen Birthday party and made it into lunch. Snowflake shaped cheese slices top crisp crackers. For snack she’ll have blueberries and pretzel snaps. Last up is Anna’s Sandwiches. 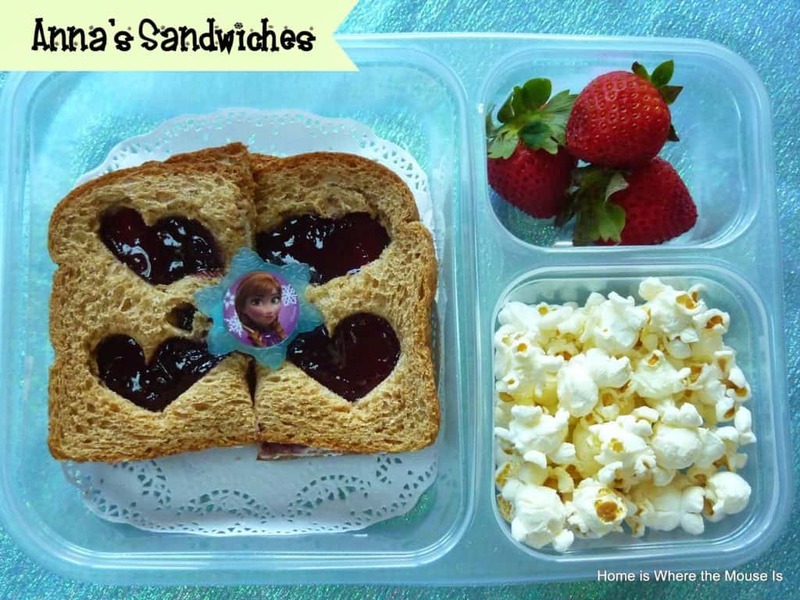 For this lunch, Bella will have cream cheese and jelly sandwiches (her new favorite) with heart cutouts. It is served with popcorn to represent snowflakes and strawberries to remind her of frozen hearts. Hopefully these homemade lunches will keep her feeling energized and ready to start a brand new year!